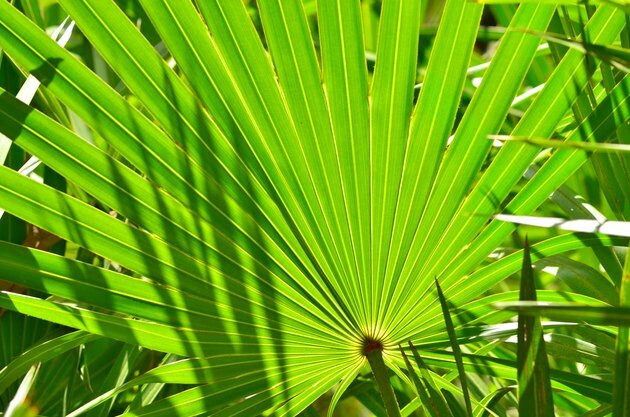 Saw palmetto is a small palm tree that grows wild across the coastal regions of the Southern United States. It has been used as an herbal remedy in the United States, South America and Europe to treat a variety of conditions affecting both men and women. It is available in the form of dried berries, tablets, capsules or extract and can be made into a tea. When choosing an herbal supplement, it may be difficult to decide among the different dosage forms available. No matter which form you choose, as with any herbal supplement, consult a health care professional before beginning a new regimen. The "Prescription for Herbal Healing" reports that saw palmetto has been used for its hormonal properties since the mid-1800s in the United States. It has also gained widespread popularity in Europe and South America for its ability to treat some of the symptoms of benign prostatic hyperplasia and may help with symptoms such as weak urine stream, frequent urination and nighttime awakenings. It has also been used to treat some menopause-related symptoms including hirsutism, or unusual hair growth. Some European herbalists have used saw palmetto to treat weight loss in HIV and AIDS patients. Saw palmetto should not be used to self-treat urinary or other problems without the advice of a physician because these conditions may indicate a serious medical problem such as prostate cancer. In addition, women who are pregnant or being treated for hormonal conditions should not take this supplement. The active portion of the saw palmetto herbal supplement is the berry. Some practitioners think that taking a whole dried supplement will give all of the benefits of the herb, including some phytonutrients. The disadvantage of using whole dried herbs is that it may take as many as 3 to 4 grams of freeze-dried berries to equal the standardized extract of a saw palmetto extract capsule. In addition, it is important to know how the berries were dried and stored, because sun, heat and freeze-drying may all result in different amounts of active ingredients. Always purchase your herbs from a reputable source, preferably in a closed container and not from open jar or bin. Whole dried berries may be made into a tea or may be taken with other foods. Whole herb extract of saw palmetto has undergone a process in which the active ingredients have been extracted from the whole berry. The advantage of using whole herb extracts is that they can generally be purchased in tablet or capsule form in a known dosage amount. The "Prescription for Herbal Healing" states that most tablets or capsules contain 320 mg of extract each and will state that they are made from whole herb extracts on the label. Saw palmetto supplements may be purchased at health food stores and many grocery and drug stores. When purchasing any supplements, make sure you are buying them from a well-established manufacturer. Some manufacturers of herbal supplements do not use the whole herb to obtain the active ingredients. Some may be made from parts of the plant containing lower amounts of the active ingredient, while others may be synthesized in a lab. The label will state the amount of the extract but will not state that it came from whole herbs. Most natural health practitioners prefer whole herbs or whole herb extracts made in a natural manner. What Is a Safe Dose for Yohimbe?